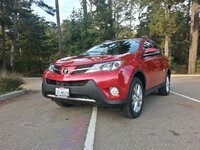 CarGurus has 13,292 nationwide Outlander listings starting at $1,995. 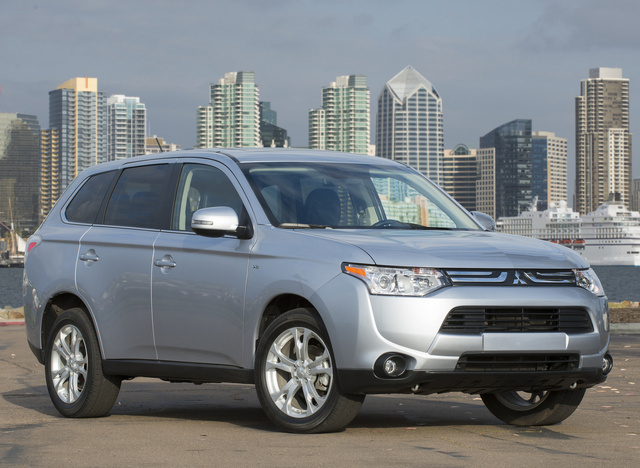 The pressure appears to be on for the revamped and redesigned 2014 Mitsubishi Outlander. The automaker looks to regroup and rebuild its market share in the United States and hopes the Outlander with its styled-up interior, better fuel mileage numbers and enhanced safety features can lead the charge. Mitsubishi has brought a new look to its 7-seat midsize crossover, outside and in. The exterior styling has gone a little softer, and the corners have been rounded up a bit for a look that is more conventional than in the past. Even those who pine some for the old, more aggressive days that made the Outlander stand out from the pack a bit acknowledge a part of the driving force for the change: a more aerodynamic design in the interest of better fuel mileage. Changes and updates in the 2014 Mitsubishi Outlander’s cabin, on the flip side, meet with universal approval. Fewer hard plastic surfaces and higher quality materials overall lead to some of the praise, and the overall design, along with upgraded standard third-row seats for all trims, earn good marks as well. A starting price in the neighborhood of $25,000 keeps the Outlander competitive among rivals such as the Ford Escape, Kia Sorento, Honda CR-V and Toyota RAV4, and experts in general seem to feel the new-look Outlander shows promise. Mitsubishi sticks with the same two engine options for the 2014 Mitsubishi Outlander, and the experts tend to be mixed in their assessments of them. Some prefer the base 2.4-liter 4-cylinder that’s good for 166 hp and 162 lb-ft of torque, while others like the 3.0-liter V6 that checks in with 224 hp and 214 lb-ft of torque. Some find the 4-cylinder with its continuously variable transmission (CVT) fine for getting around the city but underpowered for the highway. Others think it’s more than adequate and feel the V6 and its 6-speed transmission, offered only in the top-of-the-line GT trim, are not worth the extra cash. Experts note the ride and handling of the Outlander are decent, but do not stand out and that the vehicle is a little loud. The base 2014 Mitsubishi Outlander ES comes only in front-wheel drive (FWD), while the midlevel SE is available with FWD or all-wheel drive (AWD), and the top-of-the-line GT gets only AWD. The 4-cylinder with the CVT checks in with an estimated fuel mileage tag of 31 mpg highway, while the V6 gets 28. All trims have an “Eco mode” setting that is administered by the driver and reduces the car’s initial acceleration and also reduces air flow to the climate control system. Change is on the horizon, too: A Mitsubishi Outlander Plug-In Hybrid, with front- and rear-mounted electric motors and a 2.0-liter gasoline engine paired with a new AWD setup, is due out soon. 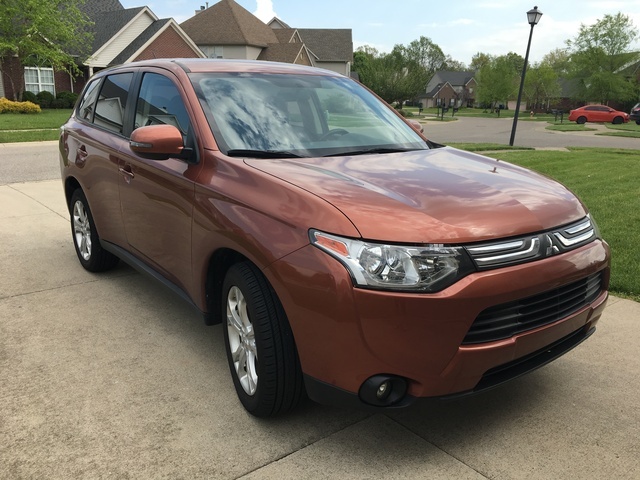 The 2014 Mitsubishi Outlander ES starts the line out with automatic climate control, heated side mirrors, cruise control, a tilt-and-telescoping steering wheel and a 6-speaker sound system. The SE bumps up the 16-inch steel wheels of the ES to 18-inch alloy wheels, and foglamps, heated front seats, a leather-wrapped steering wheel, keyless entry/ignition, Bluetooth and a rear-view camera all come standard. The GT adds automatic xenon headlights, wood-grain trim and automatic wipers. Optional packages for the SE and GT include a 9-speaker, 710-watt audio system, navigation, leather seats and a sunroof. Mitsubishi is rightly proud of safety changes made for and available to the 2014 Outlander to go along with its standard features. The Outlander comes with 7 airbags, including a driver’s knee bag, and radar-based adaptive cruise control, a forward-collision mitigation system and a lane-departure warning system are available. What's your take on the 2014 Mitsubishi Outlander? Have you driven a 2014 Mitsubishi Outlander? the lift gate opens and closes without allowing me to put anything in it and even if i open it manually it won't stay open. Why Won't My Functioning Back Up Camera Display On Screen? When I tunnel through the settings menu, I can see that the back up camera is operational, but when I put my 2014 Mitsubishi Outlander SE in reverse, the image does not display on my screen.